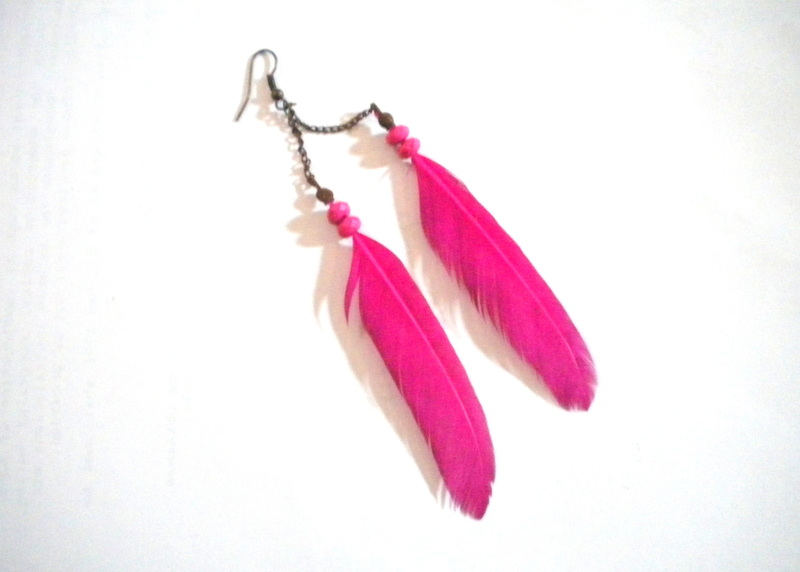 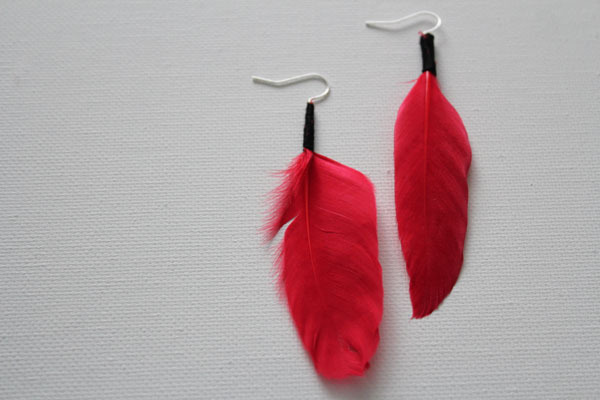 Feather earrings can give the conventional metallic ones a run for their money. Thanks to their trendy boho chic looks. 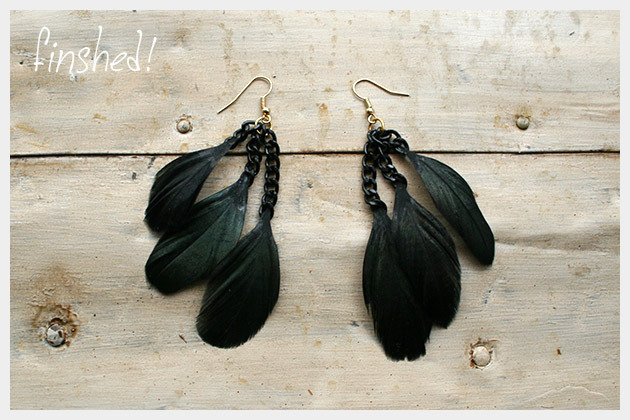 Bring out the fashionista in you by wearing them at social dos and have all eyes glued your way. They are light on your pocket if you don’t want to splurge on expensive accessories available commercially. 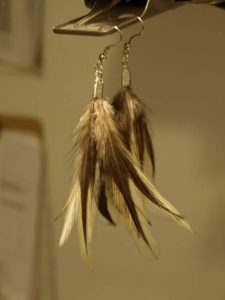 Ensure that you choose hypoallergenic feathers for your craft. This beautiful pair of feather earrings owes its looks to a combination of solid navy blue and spotted feathers. 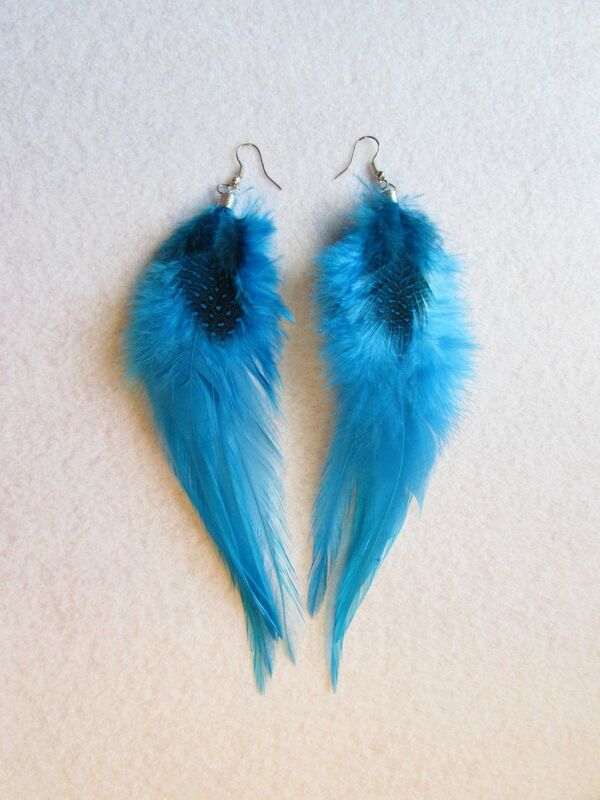 Silver earring hooks ensure that your ears don’t get hurt. 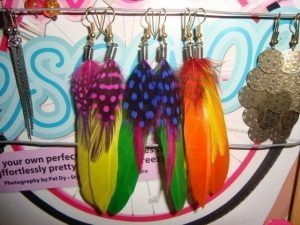 The making of these fun feather earrings requires jewelry pliers, feathers with hooks and earring hooks as the supplies. A great combination of feather colors like red, green, pink and yellow gives them an attractive look. 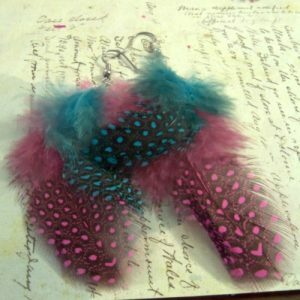 It is important to shape the peacock feathers to make them of the same size. You can take the help of scissors for doing it. 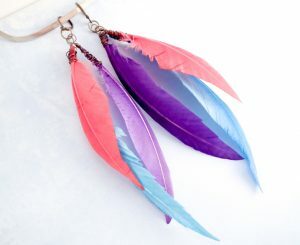 You would need to be fast while putting drops of glue on the metal caps and inserting the feather almost at the same time. 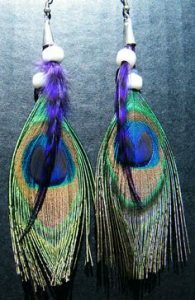 Long purple peacock feathers would also look good on the earrings. 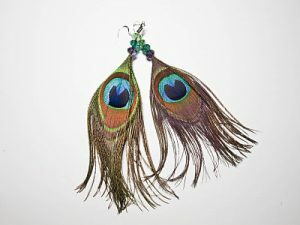 You can make these trendy earrings in a matter of minutes and they are sure going to turn heads in places you visit. 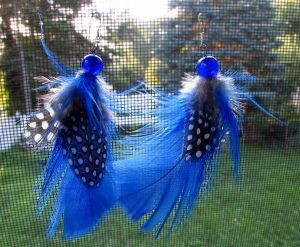 You can use natural or dyed feathers for this project. 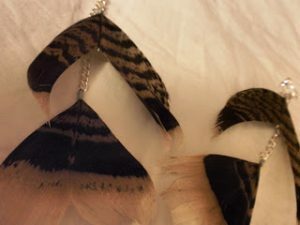 These fashionable accessories are made by cutting a long piece of chain into smaller parts and gluing black feathers to them. Beads and feathers make a heady mix in these colored feather earrings DIY. 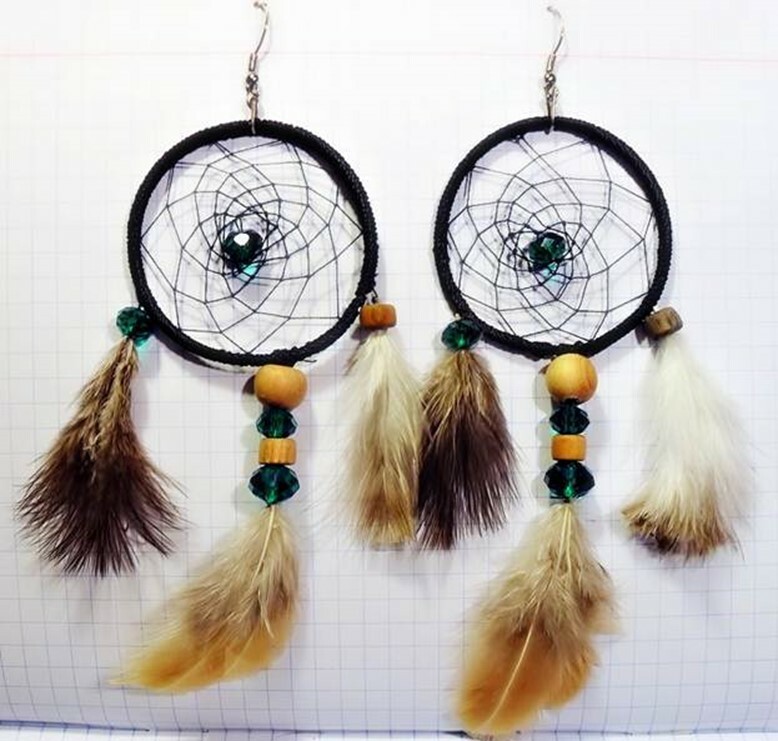 The author has used several types of beads like crimp, glass, glass pearl and seed beads. Here a pearly white bead is used as a connector between the natural feather and the ear hook. 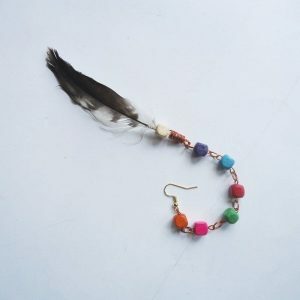 The latter connects to the bead via a jump ring. Learn the steps of making these bright red feather earrings by going through the above-linked image tutorial that also has the text embedded in it. This boho earring is a single piece that can be worn in just one ear. The beads make it stylish. 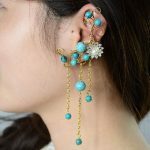 You can cover the other ear with your hair swept prettily to that side. 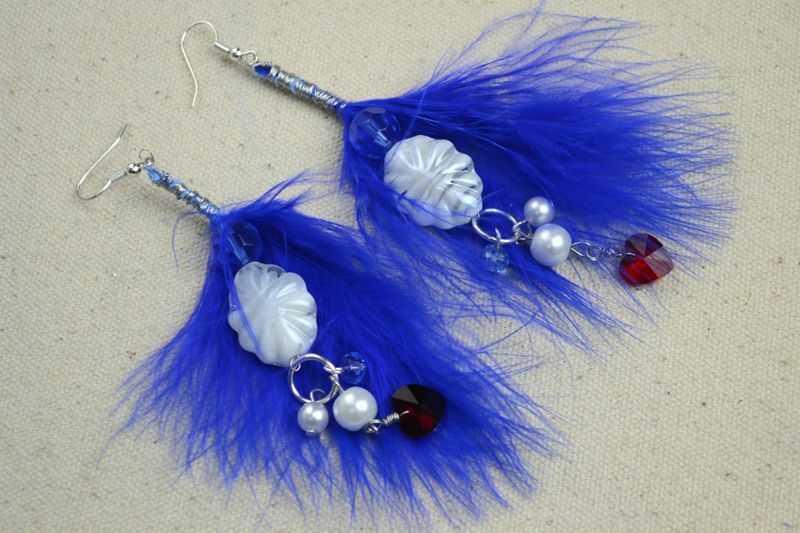 Pearls and crystals accentuate the beauty of these blue feather designer earrings. 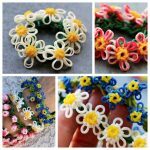 The easiness of the DIY makes it suitable for beginners. 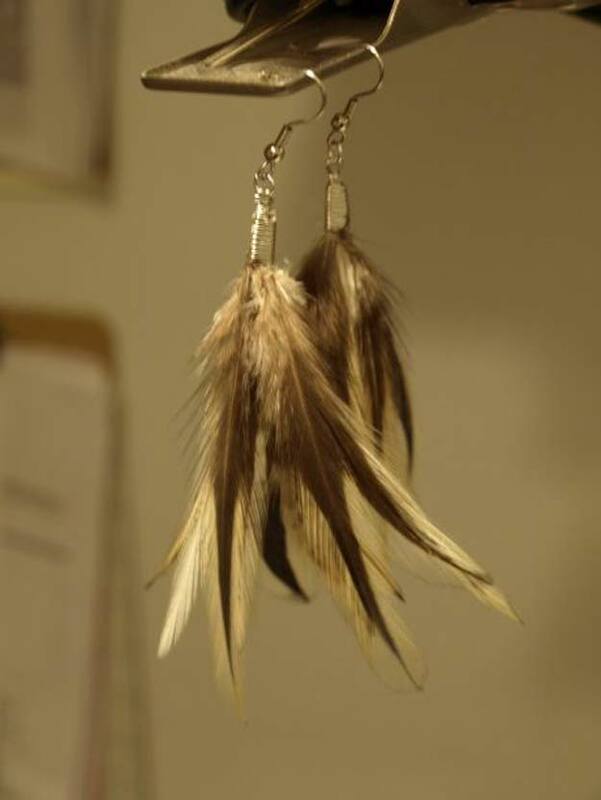 These elegant earrings are made out of turkey feathers making it a go-to craft for Thanksgiving. 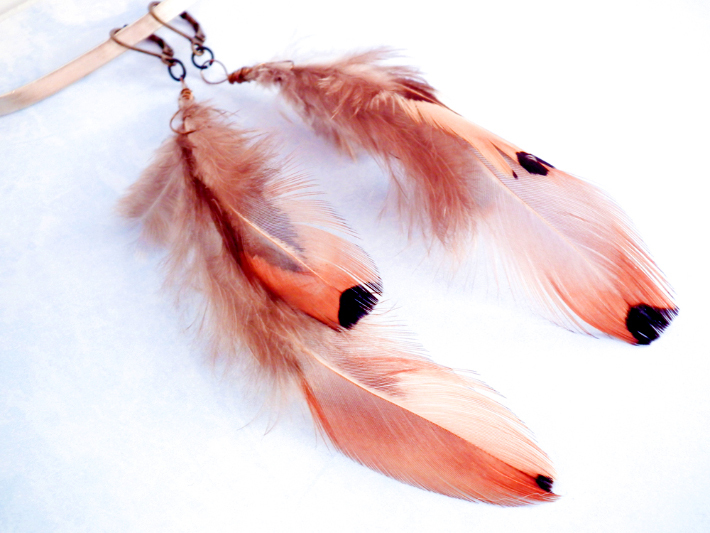 It requires 3 different types of jewelry pliers, clip-on’s, chain and wire. You can choose cobalt blue, yellow, orange, cream, green, purple and brown colors of feathers. Long pheasant, teal, eagle, kingfisher and quail feathers can be used in the projects for a natural look. People who like loud costumes can go for very long feathers. 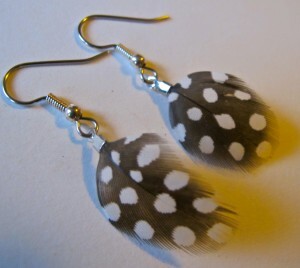 Large white bird feathers can gorgeously accessorize white outfits. 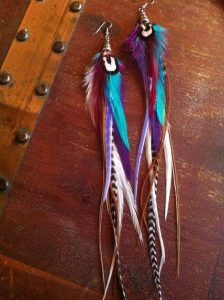 You can also wear thick, extra long feathers in the proper color code to sport the American Indian look. 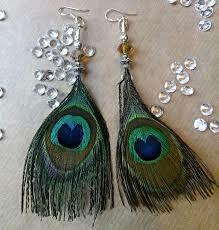 Girls, the time is ripe to tap into this hot fashion trend.